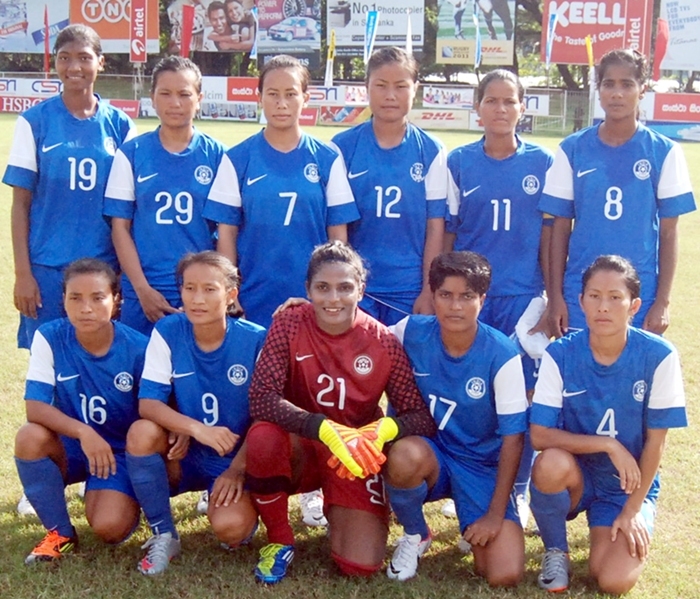 India Women’s National Team cruised into the final of the second Women’s SAFF Championship after mauling Afghanistan 11-0 at the CR & FC ground in Colombo on Friday. Oinam Bem Bem Devi and co. will meet either Nepal or hosts Sri Lanka in the summit clash on Sunday. India – oozing with confidence after decimating their opponents to reach this far – continued from where they left against Bhutan in their last outing. They took the lead as early as in the 4th minute through Yumnam Kamala Devi who went on to score two more goals in the second half. The Afghans were no match to India’s prowess as the Women in Blue looked in sublime touch scoring another three in the first half. Prameshwori Devi, skipper Bem Bem Devi and Sasmita Mallick found the back of the net. As if the first half was a trailer of things to come. India scored seven goals after the break with Sasmita’s hattrick standing tall. Bem Bem Devi scored one more while Pinky Bompal added another in the 80th minute. Kamala Devi completed the rout in stoppage time.